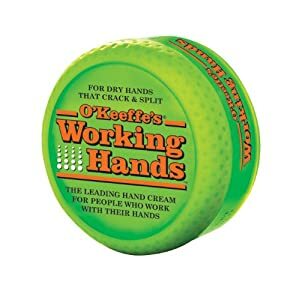 I love the Working Hands cream too and you just gave me an idea. My how the Gogos in Swaziland could use this on their hands and feet. I am willing to bet that I could get Home Depot and Lowes to donate some that I can take on my next trip to Swaziland. God has me hooked for life with the struggling widows and orphans of Swaziland. I too live in Harrisburg, Pa. I am a member of New Hope B.I.C. Church near Linglestown. We started two years ago working with AIM in Swaziland. It is one of our church members that is working with Seth Barnes on the Sustainable Farming idea. My wife Janine and I would love to talk with and meet both of you. It would be great to share stories and callings and compare notes. Email me at sewnwood@verizon.net if you are interested.